Our expertly guided tours reveal the most interesting sites, beautiful landscapes and centuries old traditions. Independent tours allow individual exploration with prearranged accommodation, sightseeing and transportation. Sail the Rhine on a Christmas cruise to the famous illuminated Christmas markets in medieval towns. 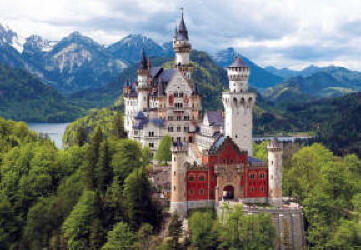 A City Package is a good choice to see Germany's most important cultural centers in a few days.